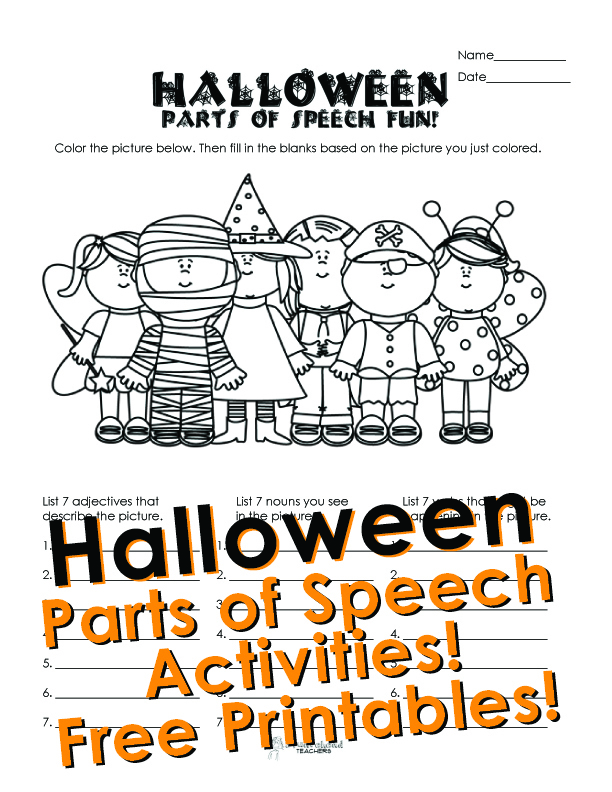 Halloween Parts of Speech Activities! Click here for more fun and free Halloween activities for kids! This entry was posted in Grammar, Halloween, Holidays/Seasons, Language Arts and tagged Children, Education, Elementary School, Grammar, Halloween, Homeschool, Kids, language arts, parts of speech, Teacher Resources, Teachers, Teaching by Squarehead Teachers. Bookmark the permalink. Wow. Thanks for sharing. It’s so nice to find things that are just perfect for Gr. 3. So much is either to easy or too hard. Lovely work. Awesome! Glad to help. Thanks for stopping by!